Dabbling ducks are often referred to as dabblers and puddle ducks. There are 31 species of dabbling ducks, but the most common are Mallards, Pintails, Widgeon, and Gadwall. Hunting dabbling ducks can be challenging, but we’ve put together this list of the top tips that will help you bag more puddle ducks this season. Attention to detail is what separates the good hunters from the great hunters when going after dabbling ducks. Many duck hunters grasp the basics of what it takes to bag ducks, but to really master it takes paying attention to detail. Whether this means going the extra mile to brush your blinds or becoming a better shooter, these small tips will help you improve your success rate drastically. Here are some tips you should try on your next dabbling duck hunt that have been proven to work when nothing else will. One of the most successful ways to hunt dabbling ducks is to muddy up the water in your decoy spread to simulate ducks actively feeding. When ducks sift or grub through a field or pond, items in the water column such as vegetation and sediment become suspended creating a turbid environment. Dabblers overhead can see the color change which they key in on as a food source and this can entice them to come closer to check it out. Simulating muddy water can be accomplished by driving a 4 wheeler or mud motor through the spread, or simply kicking up mud as you walk through the decoys. The best time to stir the water up is first thing in the morning while you’re setting out the spread, and again at mid-morning. Dabbling ducks are opportunistic birds, and if they see what they think is active feeding going on, they won’t hesitate to come check it out. Stirring up the water is especially important while river duck hunting as the muddy water can be seen downstream for a long distances. Ducks flying down the river will follow the muddy water to find it’s origination point. 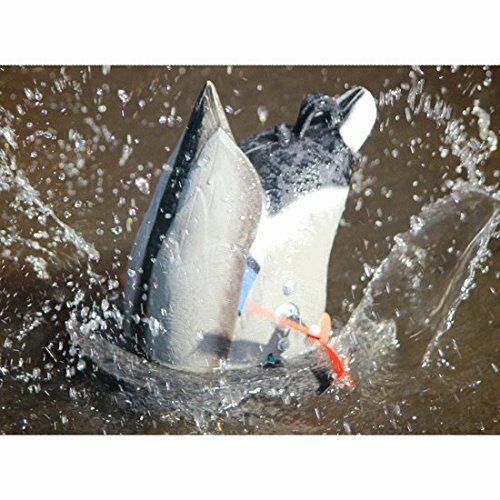 The Wonderduck Cyclone Decoy can create muddy water in shallow applications. The importance of covering faces and hands while hunting dabblers cannot be overstated. If you ever seen a blind from far away when the sun hits it, you know what I’m talking about. Faces especially can be seen from miles way and dabbling ducks notice too. Camouflaging the opening of the blind really well and letting hunters know they shouldn’t be exposed when birds are working goes a long way in preventing ducks from flaring due to shiny faces. The person calling should be the only person watching the ducks behavior and responding accordingly. If hunters are exposed or away from the blind, they should be wearing face masks and gloves to cover exposed skin. Having the best waders and camouflaged jacked mean little when other areas are left exposed. Reducing the glare from poorly camouflaged blinds or uncovered skin will help bag more dabblers. In a perfect world decoying ducks would be evenly spaced and offer everyone in the blind an equal opportunity, but we all know that’s hardly the case. The tendency of most groups is to focus on the closest birds for the easy shots, and then work outward. You’re missing opportunities if you do this. The best way to pick shots on dabbling ducks is to make your first shot slightly back from the lead bird, and then follow up on the closer birds. Not only does this give you a better chance at bagging more birds, but it will reduce the chance two or three shooters aim at the same bird. Picking a taller shot as your first shot will reduce the chance you are competing with other shooters and your gun will be positioned to target flaring birds. If you can get everyone in the blind on the same page and develop a system for shooting zones, you can maximize your shots on dabbling ducks and your harvest totals will increase. Judging the distance of ducks is something you can only improve on with practice in the field. Take a range finder with you to mark off yardages prior to the hunt. It can help you limit your shooting to the ranges you’re comfortable with. Developing the proper lead for ducks is something that can’t be taught. It’s a fluid motion that involves split second timing and good hand/eye coordination to put the pellets on target. Having the right lead is the key to cleanly harvesting dabbling ducks and it can only be perfected with practice and repetition. Angles propose another challenge as some shots are head on, going away, and passing at 90 degrees. Even with all these factors, developing the proper lead should require little forethought. Consciously thinking about the right lead before every shot will likely result in a miss. It’s best to let instinct take over and concentrate on the shot at hand while following through completely. Practice shooting decoying dabbling ducks in one fluid motion and let your brain automatically adjust to the changing conditions. You’ll bag more birds this way. If you’re having trouble judging lead in low light conditions, consider getting a hi-viz shotgun sight. 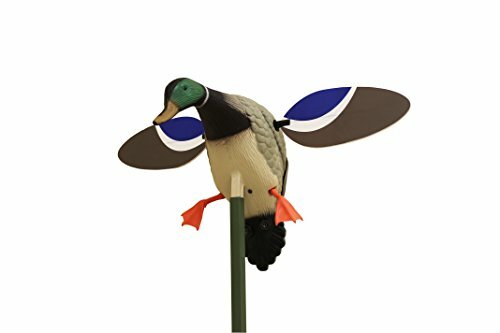 These handy gizmos make getting on target easy at shooting time and can really be a life saver for earl morning wood ducks that come screaming in. Aerial scouting by plane or drone can help you locate birds that you would never have known were there. It’s also a quick way to cover a lot of ground, stay on concentrations of moving birds, and maximize your time without having to put hundreds of miles on your truck. Aerial scouting is as simple as renting a small plane and pilot at your local airport and having them take you to the areas you want to check out that you have access to hunt. Scouting by plane in the afternoon can give you a great vantage point for where you should be set up the next morning. It’s important to fly high enough so that ducks and hunters aren’t harassed which would negate the point of scouting by plane. But from the air, ducks can usually be spotted flying over tree tops, dropping into timber, and feeding in muddy grain fields. The flash of their wings, like you would see from a robo duck, is another easy to spot tell-tale sign. If you can find hunting buddies to split the costs with, scouting by plane can save time and money over scouting by vehicle. It will also give you an advantage that few other hunters possess in their bag of tricks. Duck hunting in extreme weather can lead to equipment malfunctions and wasted opportunities. Cleaning your gun after every hunt and doing it properly will ensure your shotgun cycles freely in even the nastiest weather. The first step to properly cleaning a shotgun is to wipe it down with a cloth rag to loosen mud, water, and debris. Next, apply a cleaner like Carb Cleaner or WD-40 in a thin layer to help clean the surface and displace any remaining water. After spraying with the cleaner, wipe the gun off with a rag and apply a light coat of lubricant. The best gun oils are synthetic oils that are Teflon free. WD-40 is not a lubricant and should only really be used as a general cleaner. The best gun lubricant is Break Free CLP. Check it out here. Every duck hunter should know how to break down their shotgun. This includes dropping the trigger assembly, removing the forearm and stock, and accessing the internal workings. Exposing the internal parts makes for a more thorough cleaning and will allow you to address any problems quickly like a broken extractor. Once the bolt is out, spray the insides of the receiver with a carb cleaner to remove built up unburnt powder and debris. Lubricate the internal parts and receiver slides with a light coat of lubricant. If you know you’ll be hunting ducks in the rain, give your gun an extra coating of lubricant. Using these steps to clean your gun properly will help make sure it’s functioning properly for decoying dabbling ducks. One mistake many hunters often make with decoying dabbling ducks is to call when they are locked up on the spinning-wing decoys. This is the worst time to call and will often cause the birds to flare. Dabbler ducks locked up on the decoys are already committed and don’t need added encouragement. Calling only stands to hurt you in these situations. If birds start to slide off or turn away, blowing the call to regain their attention works, but if they are already coming, let the spinning decoy do its job. One of the most unnatural blind setups is a boat blind sitting out in the middle of open water with no cover or trees for concealment. It’s often extremely difficult to get dabbling ducks to come in close with this setup. Instead, look for tree trunks and overhanging branches that will help to mask the outline of your boat and give you a solid point to tie off to. Once you’ve found a sturdy tree trunk to tie off to, you can then erect your boat blind and use pruning shears to trim away any low hanging runners that may be in the way of your field of view. It’s important to leave as much natural cover as you can to help hide your boat and make ducks think it’s a natural feature. In order to fool late season dabbling ducks, hiding your boat blind well is a must. Pro Tip: If you can see your blind, it’s not camouflaged enough. Use these tips to make sure your blind is properly camouflaged and ducks will never know you’re there. Hunting the middle of the lake can often pay off right after a cold front when new dabbling ducks move down from up north. These early season ducks are less likely to use small potholes and thick timber right off the bat that local birds are more comfortable with. Scouting late in the afternoon on big migration days can help you pinpoint new arrivals and the open water areas they are using the most. Setting up the next morning with your spread in the best possible spot in the middle of the lake can yield some impressive puddle duck hunts. For large expanses of water, hunting as close to middle usually pays off. For reservoir hunting, a point or island near the middle gives migrating ducks a place to rest. Until new ducks learn their way around, target the middle of the water where new dabbling ducks hang out. The standard finishing call for mallards is the feeding call, but is this always the right call to use? NO! A series of short, low quacks is often better as it helps steer ducks in the right direction for the shot. When ducks are making their last turn and about to do it right, making a series of short quacks resembling a lonesome hen will give them something to lock onto and put them right in your lap. It’s important that these finishing quacks be short, low volume, and not drawn out. Anymore could spook the birds. If dabblers aren’t responding well to a finishing feed call, try a series of short quacks, you’ll be amazed at how good it can work. List of Dabbling Ducks Common in the U.S. The most abundant dabbling duck is the Mallard. The Mallard population routinely hovers between 8 and 9 million birds. Dabbling ducks are found throughout the world, and are the most predominate genus of ducks in the United States. Dabbling ducks winter in the boreal forest of Canada and the prairie pothole region of North and South Dakota. They winter throughout the U.S and into Mexico. Dabbling ducks are the most abundant type of ducks in North America. They go by many different names, but the two most popular are dabblers and puddle ducks. Examples of dabbling ducks include Mallards, Pintails, Widgeon, and Gadwall. Hunting dabbling ducks can be challenging at times, but paying attention to detail is what often matters the most. The best tip for hunting dabblers is to muddy up the water and mimic the actions of feeding ducks in your spread. It also pays off to completely cover your face and hands to reduce sun glare that can be seen from miles off. 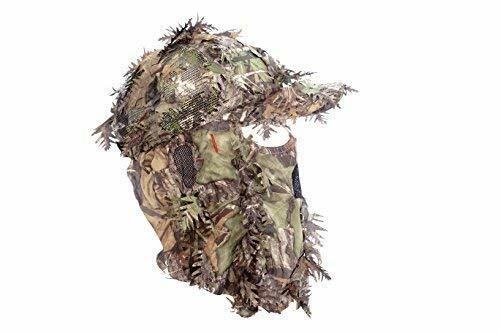 A properly camouflaged blind will help conceal hunters and prevent reflections at the worst possible time. Cleaning your shotgun properly and regularly will help ensure you make the most out of every shot, and practicing with leading birds is something that can’t be taught. Every situation is different, so letting instinct kick in for barrel placement and follow through is key. Scouting by plane can be a useful tool to help spot promising hunting locations while reducing driving time and costs if you split it with your hunting buddies. Keying in on open water prior to and after a cold front can help put you in the best location to hunt newly arrived birds that aren’t comfortable with the area. Use these tips on your next puddle duck hunt, and remember to pay attention to detail. Your hunting will likely go from good to GREAT! Interested in new waterfowl gear for 2019? Check out what’s new here.